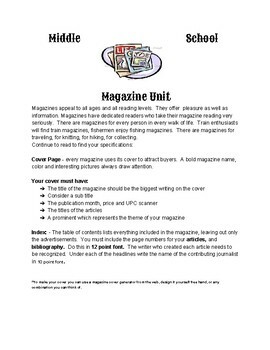 Students create a magazine of their own choosing. They have to reflect several styles of writing encompassing essay techniques. They must also include graphics and ads. Multimedia and multidimensional.